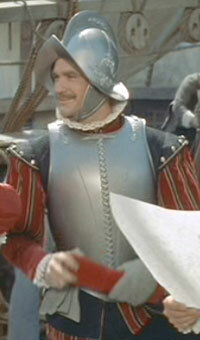 Rod Taylor has an uncredited bit part as Corporal Gwylim in this film featuring Bette Davis as Queen Elizabeth I and Richard Todd as Sir Walter Raleigh. According to "Rod Taylor: An Aussie in Hollywood," director Henry Koster sought someone who could speak in a Welsh accent for a small role of a corporal who could deliver a message to Sir Walter Raleigh. Author Stephen Vagg writes: "Although the performance was not particularly distinguished (he lays on the Welsh accent with a trowel), it had energy and the project was a prestigious one: Rod had his start." A few years after "The Virgin Queen," Taylor would star in a far more adventurous and swashbuckling film set in the Elizabethan era, "Seven Seas to Calais."